If you’ve been busy on the golf course, or spending time with the kids, then you’ll be forgiven for missing this news: BT is switching off its ISDN and PSTN telephony services by 2025. “Err, so what?” You might say. However this means that if your business isn’t using IP (internet protocol) services to host its telephony. Then in a mere seven years’ time, your old phone system could be swiftly retired. Let’s rewind for a moment and bring you quickly up to speed with hosted telephony. 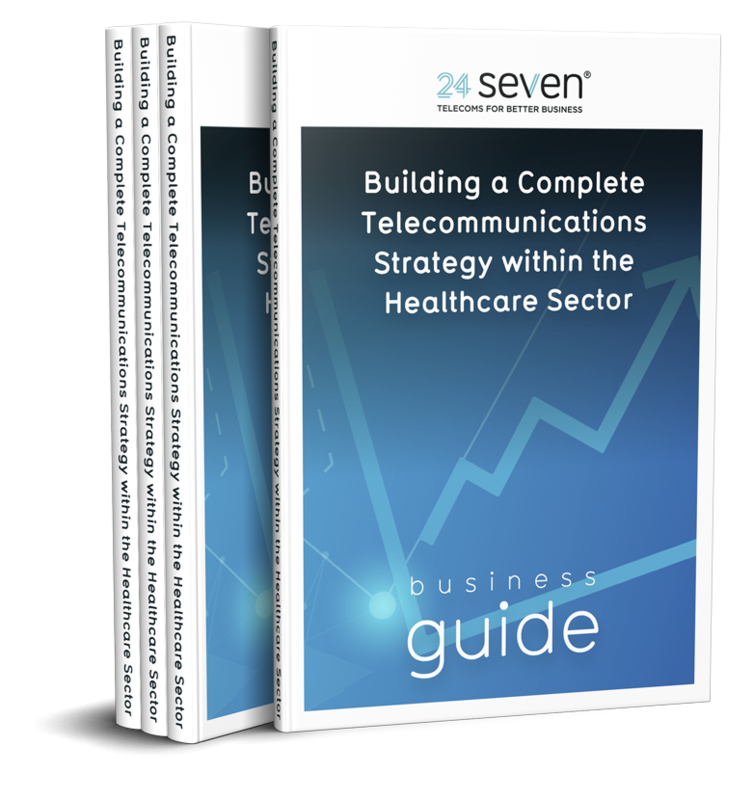 This comprehensive guide will not only explain what hosted telephony is, but you’ll also be able to get a head-start by investing in telephony services early and reaping the business benefits. Now we’ve straightened that up, hosted telephony is essentially making phone calls over the internet. Your service provider hosts and manages your business telephone system in a private data centre in the cloud. VoIP providers, such as Skype and Zoom, have been available for many years. However, the technology has improved to such an extent. For instance entire business telephone systems can now be run, and all voice communication delivered, using a broadband connection. As mentioned earlier, BT is switching off PSTN and ISDN to focus on IP services. Below is more detail as to what, precisely, that means. Back in 1876, Alexander Graham Bell made the first telephone call by transmitting sound over a length of wire. His invention was based on years of earlier research and testing by various other scientists and inventors as far back as the 1660s. The telephone network is a wire-based electrical system. It grew rapidly in the late 19th century as wires were laid underground, undersea or constructed overhead. This worldwide infrastructure of interconnected circuit-switched copper wire phone lines, which carry analogue voice data, is called PSTN or Public Switched Telephone Network. PSTN is managed by national, regional and local operators both commercial and government-owned. The PSTN has evolved over the years to include mobile networks as well as fibre optic cables. However most landlines in the UK still use old, fixed, copper wire lines. This is based on the fundamental principles of Bell’s 19th century invention. The eighties were known for many things: extreme shoulder pads, permed mullet hairstyles and electronic synth dance music. It was also when the Integrated Services Digital Network (ISDN) launched. In 1988 the ISDN provided a way to digitally transmit both voice and data simultaneously over the same copper wires. It added features that weren’t available on the ordinary analogue telephone line. For example internet access, video conferencing and fax. It also offered the fastest internet speeds but is becoming obsolete. As a result is being replaced with super-fast fibre cabling. Both PSTN and ISDN require on-premise telephony systems to work, including hardware such as handsets as well as PBX (Private Branch Exchange) equipment and physical cables. A PBX is a private telephone network used within a company or organisation. It switches calls between internal users as well as allowing staff to share a certain number of external phone lines. With cloud telephony, PBX hardware and numerous physical phone lines are no longer required. All you need is an IP broadband connection. Seriously Though, What’s the Point? Do you remember when music was on vinyl records, then tape cassettes? Or perhaps films on video cassettes, then DVDs and now you buy them digitally, or even stream them straight from the internet? Technology moves on, and it makes perfect sense for telephony services to progress too. Hosted telephony embraces the future, leaves the 19th century technology firmly in the past, and is, ultimately, inevitable. 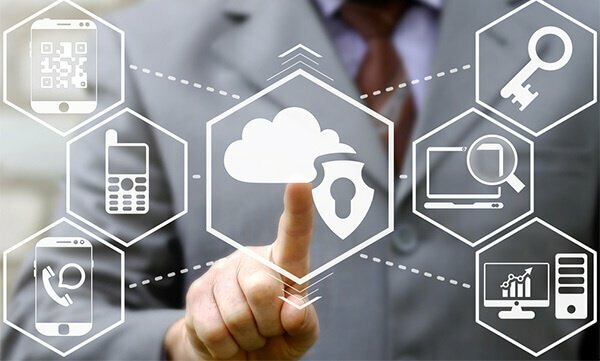 According to recent research, more than three quarters (76%) of small businesses and entrepreneurs in the UK are looking to cloud solutions to increase their business efficiency. Many SMEs are moving operations such as IT hosting, data storage and office productivity tools, to the cloud. It’s no surprise that telecommunications is next on the list. Using the internet (IP) for all communications services is fast becoming the norm across the world. BT is taking the plunge by doing away with its legacy infrastructure and shifting the entirety of its voice network over to VoIP via its fibre network. However, it’s not the first company to do so. Communications providers in Japan, Sweden and Germany are switching to VoIP already. Orange aims to have all IP digital networks by 2020. Deutsche Telekom has set its sights on a migration of all its European lines to digital by the end of this year. For incoming calls, the phone connects to the IP network, through the remote host and then on to the correct person or department. It works in a very similar way to a direct phone line. What Are the Benefits for Businesses? Cloud-based services offer a wide number of benefits for small and large businesses alike. For instance, you may have multiple remote working staff in various locations up and down the country. Or you may run a busy 24-hour ‘hotline’ such as customer service or client support. For example a rehabilitation clinic offering outpatient phone support. Then this could be the perfect option for you. Unlike upgrading other infrastructure or business operations, with virtual phones there are no expensive upfront costs to install or purchase hardware. Your business phone system is essentially now a piece of software rather than hardware. Many providers offer free internal calls which could substantially reduce your costs if team members spend a lot of time talking to one another across departments or sites. It’s also worth shopping around to find the best deals suited to your specific business needs. Traditionally each new member of staff required a desk phone connected to an ISDN line, connected to a PBX which took up space at your premises and required a third party to come and install, as well as paperwork and lengthy contract periods. With hosted telephony, this is no longer the case. Scaling your business up or down is fast, flexible and easy. You can add a new phone number (or 20!) at the press of a button on an online dashboard and it will be live instantly. So to ensure the highest level of data security, all providers of cloud-based software and services, including telephony, are rigorously regulated . There are numerous layers of safety measures. As an example calls are encrypted and networks are closely monitored to fend off cyber attacks and hacking. Each provider will include security as part of their monthly fees, so that you, or your IT team, can focus on other priorities. Each telephony services provider has a duty of care to keep up-to-date with the latest in cyber security and data protection. Therefore you can confidently outsource this to them. As HS is essentially a virtual system, there are no maintenance fees or expensive hardware upgrades required. Your provider will manage the technology and software needed to run your system and all upkeep and performance enhancements will be included within the monthly fee you pay. A cloud-based telephony system is a great addition to your disaster recovery and business continuity plan. Imagine rocking up to work on Monday morning to find your premises burgled over the weekend, with all your hardware stolen. If you operated a traditional telephone system then you’d be screwed. If, however, you’ve got a cloud voice system then calls can be routed to other devices or sites within minutes. Resulting with zero impact to customers. Cloud phone services are a great option for organisations with remote workers, hotdesking practices or flexible workspaces. You can have the same phone number no matter where you are in the world, and your staff can make and take business calls wherever there is an internet connection. Mobile workforces are said to be more productive and with hosted telephony, you and your staff are no longer chained to the location of your fixed landlines. Once upon a time, your landline number was connected to your landline handset that sat on a desk in your office. Any new prospect, customer or colleague who rang your landline whilst you were out received a voicemail (if they were lucky) or an eternal dial tone, as they waited to see if you’d pick up. If that scenario is still your day-to-day operation then you might need to consider wrenching yourself out of the past. Hosted telephony can be configured to link the same phone number across multiple internet-enabled devices. This means you can take a call on your office IP-enabled handset, smartphone, tablet, laptop or desktop PC. Each device is connected to your business portal, so no matter the device you’re talking on, all the data will be recorded in the same place for ease of access later on. With the advent of BYOD (Bring Your Own Devices) working, many employees are happy to use their own phones and tablets for work. This can further reduce costs as you aren’t supplying work mobile phones and they can simply download an app to enable them to make and receive cloud-based business calls. No more waiting weeks for an engineer to install a cable or to come and connect you up, as cloud telephony is quick and easy to roll-out. The joy of any digital system is all the juicy data that it collects. Hosted telephonynetworks track call usage, missed or dropped calls, productivity, busy times of day, high performing staff, average queue time lengths and so on. These analytics provide granular insight allowing you to identify if you need to add new lines, to set data-based targets or if there are any potential issues. My Telephony Contract Is Up for Renewal, Can I Switch to Cloud Telephony Now? Better access to super-fast broadband across the UK has fuelled a boom in the adoption of cloud-based services, with the latest research from the Cloud Industry Forum (CIF) revealing that the overall cloud adoption rate for UK businesses is 88%. If you’re keen to switch to cloud telephony, then analyse your existing bandwidth capabilities and ensure they are suitable to receive the best audio quality and services. Many new business phone systems already support cloud telephony, however if your handsets don’t and they are looking outdated, then now might be the perfect time to invest in new SIP-enabled handsets. Many devices, including smartphones and laptops, can use hosted telephony services immediately by downloading an app or piece of software, so there’s no need for physical handsets if you want to save on costs. This technology is continually improving and will soon be as common as mobile phones are now. Back in 1973, when the first call was made via a mobile phone, who would’ve thought they’d take off?! Costs depend on your unique situation, such as number of employees, current broadband capabilities and budget. The next step is to contact hosted telephony providers to get quotes. First off, give us a call for a no obligation chat to discuss your requirements on 08000 247 247. Alternatively, you can email us at info@24seven.co.uk.